Searching for the best docking station for the tech guru on your list? Wanting to make a great impression on your friend who recently picked up a Macbook Pro? One great option may be a new docking station. Quite often, the real problem is sorting through page after page of results in an attempt to determine which docking station reigns supreme. Here, we will give you our top 5 options and some reasons they made the list. Keep in mind that everyone will have varying priorities for what is most important in a docking station. Some users will be most concerned about price, some most concerned about appearance, and some will simply want the device that provides the greatest functionality. For that reason, our list includes a variety of docking stations that seek to meet all of the concerns noted above. Regardless of priorities, one of these devices should be able to meet the needs of any Macbook Pro user. Coming up as our number one contender, the Vertical Dock station is an excellent choice for your MacBook Pro, even working with many of the newer models today. 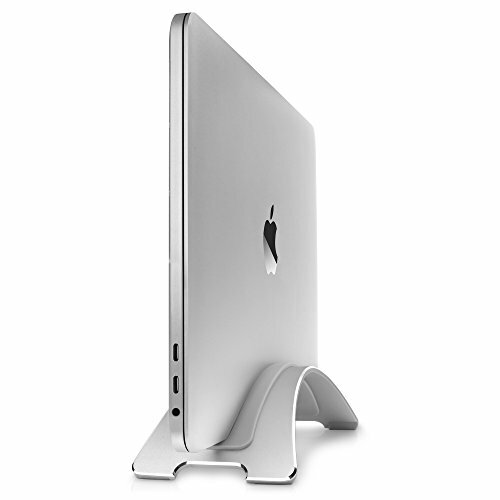 This one will securely and safely keep your MacBook Pro in place, whether the 13- or 15-inch model. It not only gives you that elegant look, but it also has the durability that you would expect out of something like this. 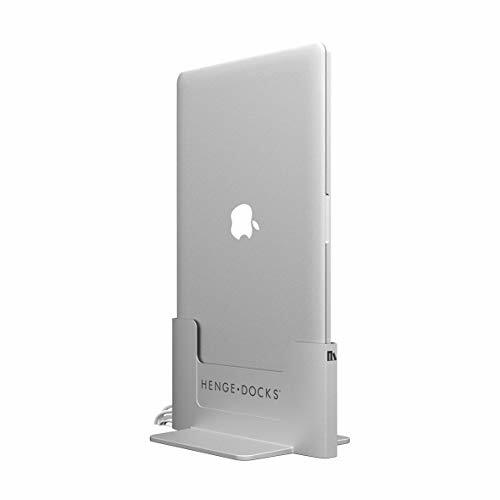 The Vertical Dock is made by Henge Docks, and actually matches the new color schemes of the MacBook Pro. As the name implies, this one is a vertical docking station, which is nice because it provides you with access to all of your MacBook Pro’s USB-C ports. That means you can easily transform your MacBook Pro into a desktop, and still have access to those ports. This one is designed for the MacBook Pro exclusively, so you won’t be using this with other laptops on the market. You don’t have to worry about assembling this one either — it comes pre-built straight out of the box. Sabrent’s option is a universal solution, which means it’s extremely versatile. So, any sort of laptop you have — even the MacBook Pro 15-inch — can work with this Universal Docking Station. That means if you ever sell your MacBook Pro and upgrade, or mover over to Windows, you’ll still be able to use this station. There are tons of extra features that come with this dock, even giving you a way to setup Ethernet and Audio ports. A DisplayLink feature allows you to extend your MacBook Pro’s display to multiple desktops. They actually allow you to do this by both HDMI and DVI, though HDMI is obviously going to give you higher quality results. 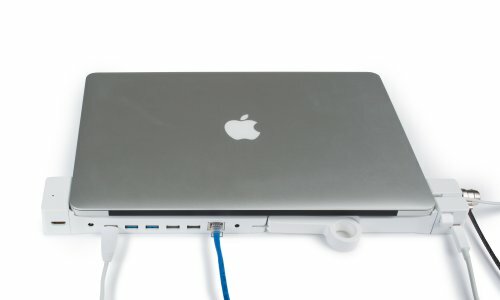 The Universal Docking Station gives you more ports than you have on the MacBook Pro as well — you get access to two USB 2.0 ports and two USB 3.0 ports. It has a couple of 2.4 amp charging ports, which is enough to keep your MacBook Pro continuously charged during use. If you or someone you know happens to own a Macbook Pro with Retina Display Model A1398, then this could be a great option for you. Having the ability to connect all sorts of HDMI devices should certainly be a positive. 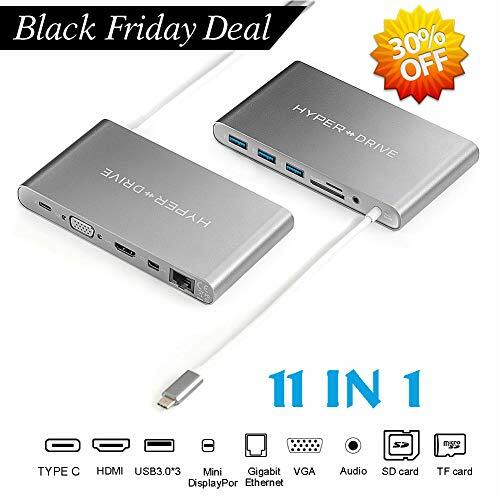 Some of the primary features of this device are: the ability to display not only from Apple devices, but also from other HDMI devices, dual displays, extra Ethernet port, connections for monitors, hard drives, printers, and more. If your goal is simply to save some space when setting up your Macbook, then this device may be a great option for you. In addition, this is a sleek product that will look appealing wherever it happens to be displayed. Here are some of its other features: cradles your Macbook, elevates your MacBook to prevent spilling, and has a modern aluminum design that matches Apple’s style for its laptops. 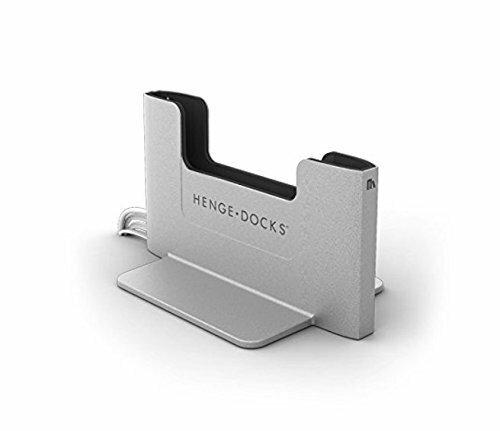 From Henge Docks, this product is yet another great option for docking a Macbook Pro. If ease of setup and versatility are priorities for you, then this may be the perfect docking station. Here are some of the features that cause this device to stand out from the crowd: a clean, elegant design, compatible with Apple ThunderBolt display, easy to setup, and extremely versatile. Smaller than many of the other options, this device could be another terrific option for the individual who is looking to save on space. In addition to that, this product is also protected by a 1-year warranty for both parts and labor. Here are some of the other features of this device: increased functionality for attached ThunderBolt devices, 1-year parts and labor warranty, and the lowest profile dock available. 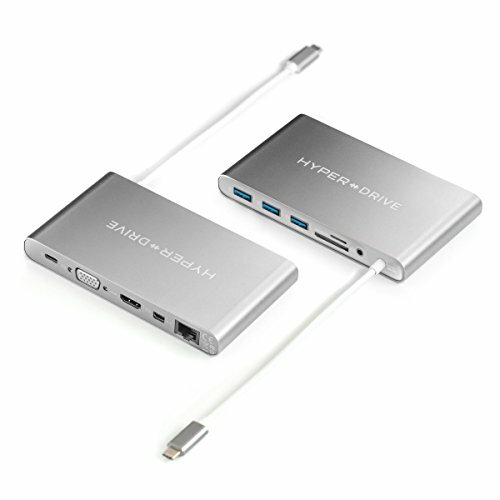 Another fantastic option, this device from HyperDrive has many qualities that cause it to be included on our list. Here are some of those characteristics: compatible with not only Apple’s MacBook Pro models, but other laptops as well, support for 4K resolution video, matches the appearance of the sleek Macbook aluminum finish. Not only that, but it adds a ton of extra ports to your MacBook Pro — multiple extra USB 3.0 ports, a DVI port, an HDMI port, SD card support, and more. Regardless of what your needs may be, there is a great chance that one of these devices will be ideal for your situation. While each option is slightly different, they all provide a high level of quality. Depending on what your specific priorities are, some of these docking stations may not make sense for you. However, based on the diversity of those presented here, one of them should be a great fit for your specific situation. One of the greatest features of the Macbook is its slick design, and many of these docking stations have been created to match that design. Because of this, you will not need to worry about sacrificing appearance in order to enhance the capability of your Macbook.